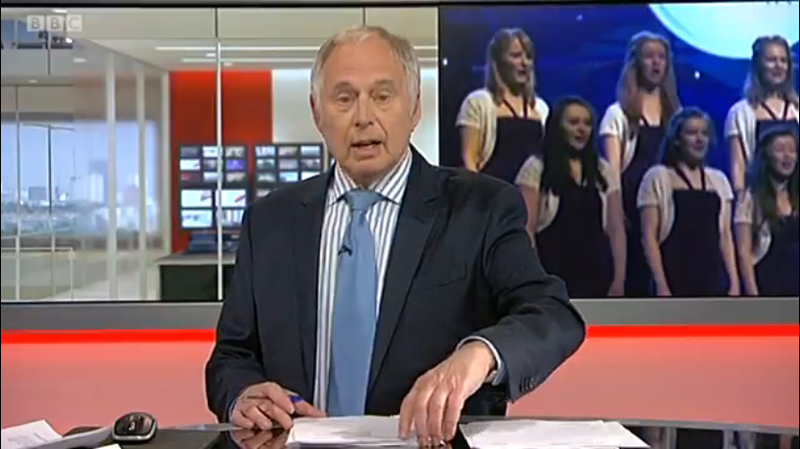 Nick Owen presented a feature on Cantabile’s bid for the finals of Songs of Praise School Choir of the Year today (2/5/2014). With snippets from their rehearsals in Birmingham and interviews with the girls and Mrs Williamson, it gives a flavour of how much the competition means to them. This entry was posted in Cantabile Girls Choir, Competition, Jo Williamson, Press coverage, Songs of Praise Choir of the Year and tagged Cantabile Girls Choir, Gareth Malone, Midlands Today, Nick Owen, Songs of Praise 2014 School Choir of the Year on May 2, 2014 by cantabilegirlschoir. At the age of 13, I became a member of the internationally renowned Cantamus Girls’ Choir from Mansfield, having started singing lessons with Miss Pamela Cook, who was the Director of the choir. Pamela Cook was an inspirational lady who taught me to sing from the heart and believe in myself. I was nervous at first as I had previously only sung in my local church choir. Cantamus was a totally different experience – and what an experience it was for me. It was something I will never forget! I was having to learn all my music from memory. Some of the music was easy, but other pieces were extremely difficult. Even today I wonder how I managed to memorise such difficult music as “Prayer before Birth” by Elizabeth Maconchy. Some of my favourite music was Britten’s “Ceremony of Carols”, Three Welsh Folk Songs, Three Hungarian Songs, Hava Nageela, some arrangements by Mr Neaum, who was our piano accompanist and a very talented amazing man, and some lovely madrigals. My experience with Cantamus took me on many tours – Germany, Holland, Belgium, Switzerland, Poland and numerous other countries. I will never forget these wonderful memories. Under Miss Cook’s leadership, we enjoyed considerable success in many competitions both overseas and within Britain. It instilled in me a passion for music, particularly girls’ choir music, and I am thrilled to bits that I now have the opportunity of passing on my experiences to the wonderful girls in Cantabile at Hereford Cathedral School. 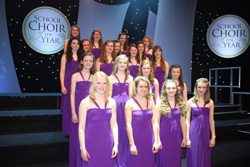 The girls have won their category at the International Eisteddfod, Llangollen for the last 2 years, and have now reached the semi-finals of BBC Songs of Praise Senior School Choir of the Year for the second time in 3 years. When I think back to my own experience in Cantamus when I was a teenage girl, I am extremely proud of the girls’ successes and achievements when it should be borne in mind that the girls only rehearse for up to 1 ½ hours a week (and they are never all present at any one time!) in a school classroom. Well done Cantabile girls! This entry was posted in Jo Williamson, People and tagged Cantabile girls, Cantamus, Jo Williamson on May 1, 2014 by cantabilegirlschoir.